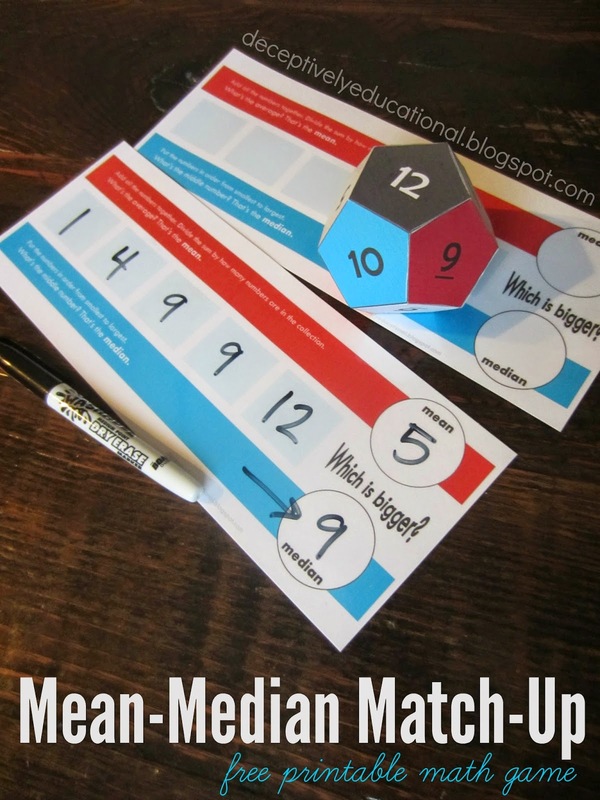 It's been ages since we worked on mean, median, mode, and range (see our last activity here) and since finding these numbers requires kids use so many math skills, I thought we'd revisit it. Our game practiced ordering numbers from least to greatest, addition, division, and greater than/less than. All of it was a breeze for my fourth grader, but doing division in his head was good practice. Plus, this was fun. Cut apart the personal recording cards (laminate first if doing so). If not laminating, place inside a plastic sheet protector so they can be used with dry-erase markers. Cut apart, score the folds, and glue the 12-side dodecahedron die together. I used a low-temp mini hot glue gun for ours. This game can be played with one player or many. It's easily adapted and can be played a number of ways. The child rolls the die five times, recording the numbers rolled at the top of their recording card. 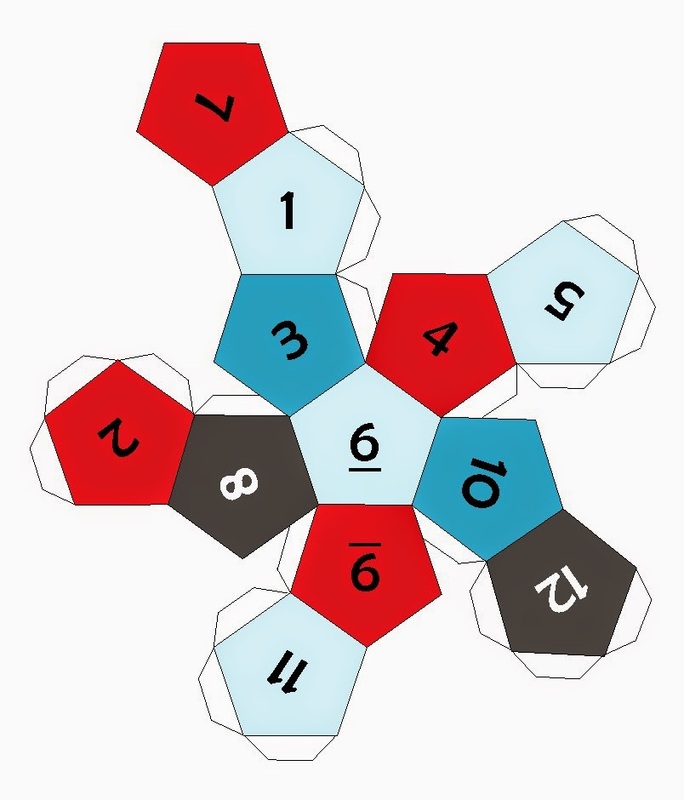 When all six numbers have been rolled, they are put in order in the light blue boxes on the card from smallest to largest. Then the child finds both the mean of the numbers and the median. Which number is greater (mean or median)? That's the winner. Note: It doesn't matter if two of the same number is rolled. Whatever number is in the middle spot on the card after the numbers are put in order, is the median. 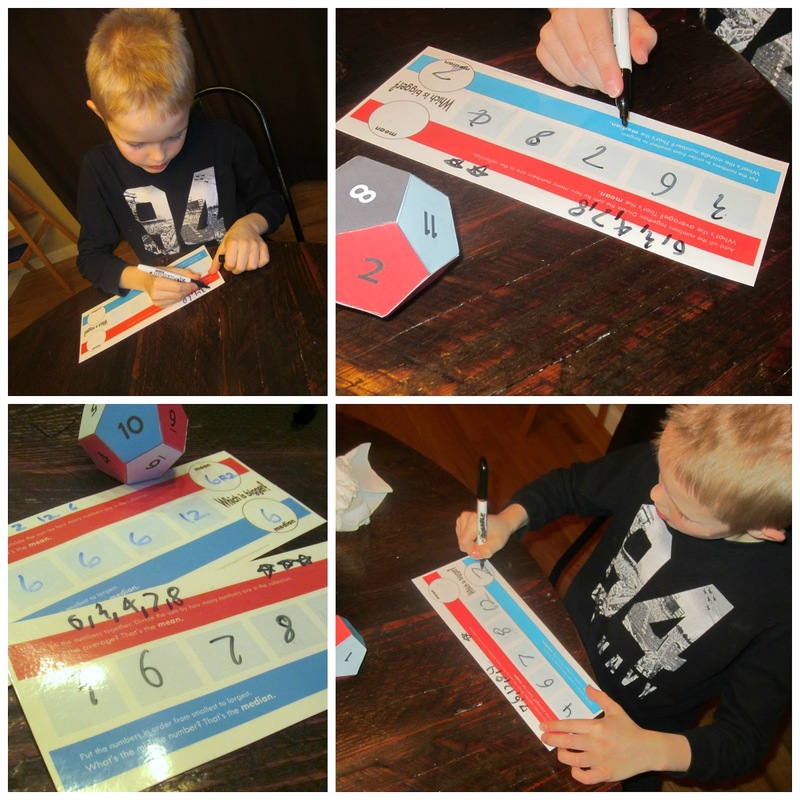 Each player takes a turn with the die, rolling it five times, writing the numbers on their card and figuring out the mean and median of the collection of numbers. When all players are finished with their calculations, each will select the larger of the two numbers (either mean or median) on their card and ask their opponents to do the same. The player with the largest number wins the round. Wipe the cards clean with a dry paper towel and get ready to roll and record six new numbers! Play any number of rounds you'd like. My son and I played best out of five. If he won the round, he simply made a star at the top of his recording sheet, and if I won, I did the same on my card. As soon as one of us had three stars, the winner was declared. 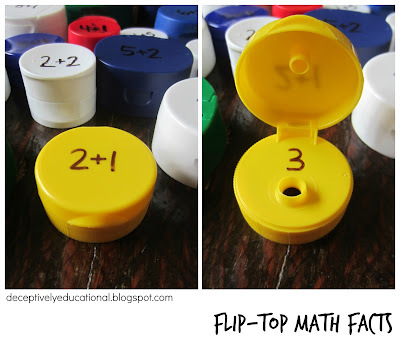 This is a fun, fast-paced game that practices many math skills. We had loads of fun with it!